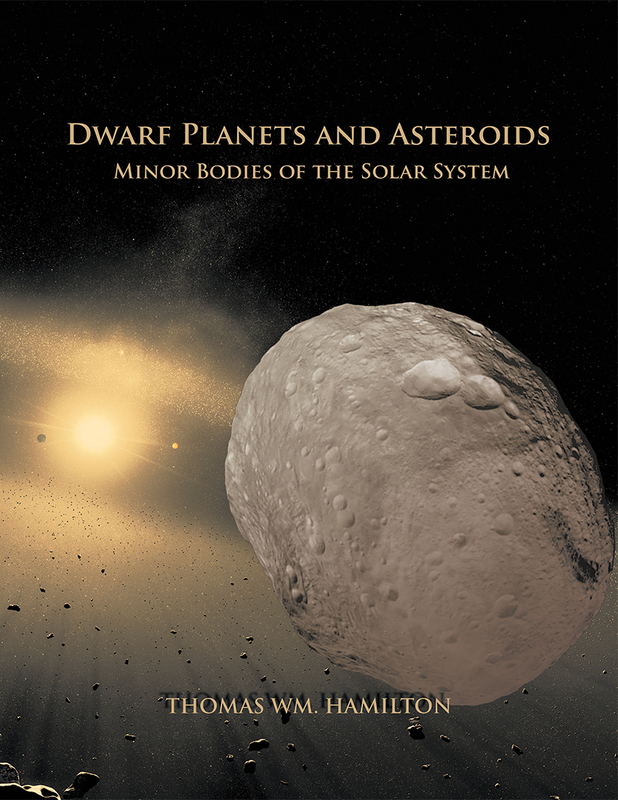 This stunning astronomy book explores Dwarf Planets and Asteroids: Minor Bodies of the Solar System. Written by a retired astronomer, the book provides a survey of the dwarf planets and asteroids, giving details of the discovery, naming, orbits, and physical characteristics of hundreds of examples of the known asteroids found by astronomers in the past two centuries. It also includes the different groups and classes of asteroids. Those bodies that have been visited by spacecraft are singled out for extra attention, including close-up photos where available. About two hundred asteroids have been found to have moons of their own, and the story of their discovery and examples of these moons are also included. 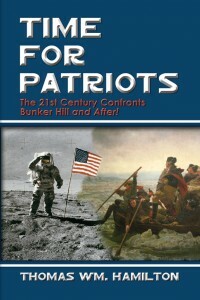 Time for Patriots: The 21st Century Confronts Bunker Hill And After! Guillermo Alfonso Calvo Mahé, Professor of English and Political Science, International Relations Directorate, Universidad Autònoma de Manizales. “I wanted to let you know about this volume with the descriptive title in time for stocking your gift shops and book stores for the new year. It is, indeed, full of useful star names. And not just the usual Greek letters or catalog numbers, either. The author introduces the work as derived from “my experience of many years in the planetarium field.” Each of us has pointed out stars and constellations on the dome, in the night sky, or on a star map. We have all told stories of gods and heroes. Some of us have struggled with unfamiliar pronunciations, wondered where a particular story came from, or related the difference between Zubenelgenubi and Zubeneschamali. A few have even won “constellation shoot-out” contests with that. The book is divided into four sections. An alphabetical listing of the 88 constellations and the meanings of their names is first. Second is a list of stars, nebulae and galaxies by constellation, with the accepted scientific designations for the named ones. This is the really useful section: a concise source for catalog listing, spectral class, distance in lightyears, R.A. and Dec., and apparent magnitude. Many of the Chinese names were new to me, and a delight to add to the night sky knowledge (although I will need help with pronunciation). An alphabetical listing of all names, the original language of each, and English translation and pronunciation is third. The last section lists entries from various catalogs cross listed to constellations. View the Press Release for Useful Star Names. 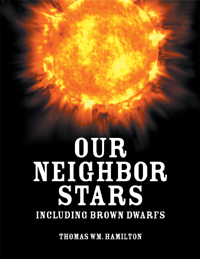 The sky’s the limit in the fascinating book Our Neighbor Stars: Including Brown Dwarfs. The book presents all known information on the 100 stars nearest Earth, as well as the brown dwarfs within the range covered by these stars. Learn where (and whether) the stars are visible in the sky, who discovered them and how they were discovered. Read all about the stars’ sizes, colors, presence of any planets, and the constellations where the stars are located. All the information is indexed, so particular types of stars can be easily found. Dancing with “Our Neighbor Stars”–a book review of Thomas Wm. Hamilton’s Stellar Book. Reviewed by Harold Egeln, Jr.
“Want to get to know your fascinating and diverse stellar neighbors within 20 lightyears of the Earth? Then retired astronomer Thomas Wm. Hamilton of Staten Island is your ideal informant and delightful tour guide, and his tour vehicle is his newest book, the third in recent years, “Our Neighbor Stars, Including Brown Dwarfs”, published by Strategic Book Publishing. Hamilton’s wonderful book presents all the information known about the 100 stars in Earth’s immediate neighborhood, and he conveys the information in such an engaging and absorbing way that I had to read the book in one sitting in the spirit of enjoying learning. As he goes in order from the closest star systems to those out to about 20 lightyears, Hamilton takes us on an armchair star trek. Included in his information are these facts about the stars: their lightyear distances from Earth, apparent and absolute magnitudes, mass and diameters, spectral type classification, surface temperature, colors, flares if any, age and expected life span, planets if any, possible Goldilocks habitable zones, constellation location, and their own nearest neighbors. Hamilton, with a lifetime of astronomical experience and knowlledgable in astronomy education along with the planetarium field and Apollo Project work, includes their discoverers and their discoverers’ stories, unless because of brightness they were always known. He peppers his accounts with additional tidbits, at times using his well-known cosmic comic flair for humor to tickle our funny bones. When referring to the old, but debris-strewn Sun-like Tau Ceti 11.89 lightyears away, a favorite among science fiction writers and UFO speculators as a home of imagined advanced civilizations (as is Epsilon Eridani at 10.52 lightyears), Hamilton engages his humor factor button. Before he introduces us to “The Closest Stars” in Part 2, Hamilton in Part 1 tells how star distances, all guesswork until the early 19th Century, were first determined by astronomers of the 1800s, and how advances were made throughout the 20th Century. The recent role of space probes, such as the European Space Agency’s Hipparcos, are credited with getting stellar distances perfected. It is helpful that he has included lists (indexes) with an alphabetical listing of the stars, star classes, and constellations with neighboring stars, along with astronomers’ names he cited. 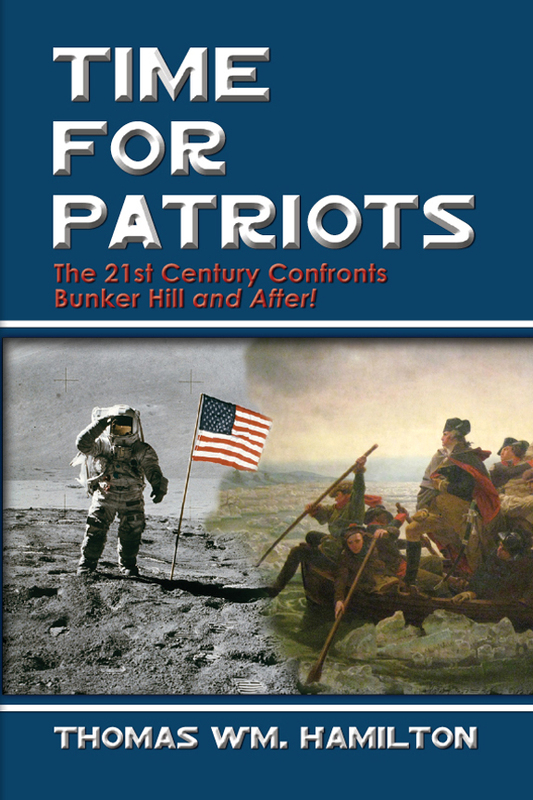 In “Our Neighbor Stars” Hamilton, who is also a science fiction writer and author of the time travel thriller “Time for Patriots–the Twentyfirst Century Confronts Bunker Hill–and After!”, has written a book that appeals to several levels of interest. It can inform the astronomical novice or curious from the general public in a clear way, help further the knowledge of the astronomically literate and space fans, as well as putting our star neighbors together in one essential, convenient handbook for amateur and professional astronomers. 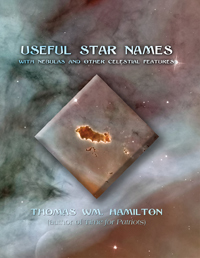 And Hamilton, whose newest book was recently preceded by his “Useful Star Names”, returns to sci-fi soon with an anthology featuring his own science fiction stories. 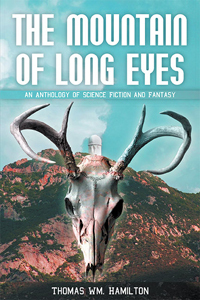 The collection is well balanced with humor, politics, horror, space opera, alternate history and time travel. This is author Thomas Wm. Hamilton’s third astronomy book in the past three years. Having worked on the Apollo Project, the retired astronomer has long been fascinated in studying moons. 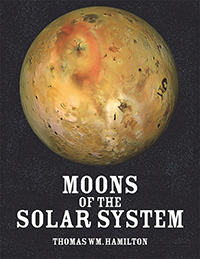 His new book Moons of the Solar System incorporates the latest research and information on dozens of these amazing objects. From Galileo’s discoveries in 1610 to the latest returns from the Cassini spacecraft currently working in orbit around Saturn, four centuries of discoveries in the solar system are summarized, complete with the names of scores of people responsible for finding them. The 185 known moons of the planets and dwarf planets are described in great detail, from how they were discovered and by whom, to the facts on their sizes and orbits. The strange and exotic origins of their names also make for amazing stories. You will also learn of the possible dangers faced by human landings in space. Craters have been found on planets and moons throughout the solar system, caused when asteroids or meteors have collided with them. Our Earth has not escaped these impacts, and nearly 200 craters are known on Earth today. Some are easily visited, others are in locations few would ever want to get near. 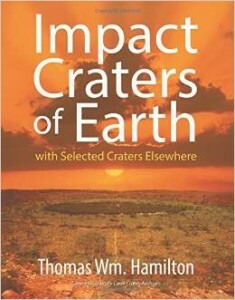 This book details all the known terrestrial impact craters, telling their age, size, and other details, as well as highlighting those easily visited. One has an annual “Crater fest” to attract tourists, while it is possible to swim in lakes that have filled others. Thomas Wm. 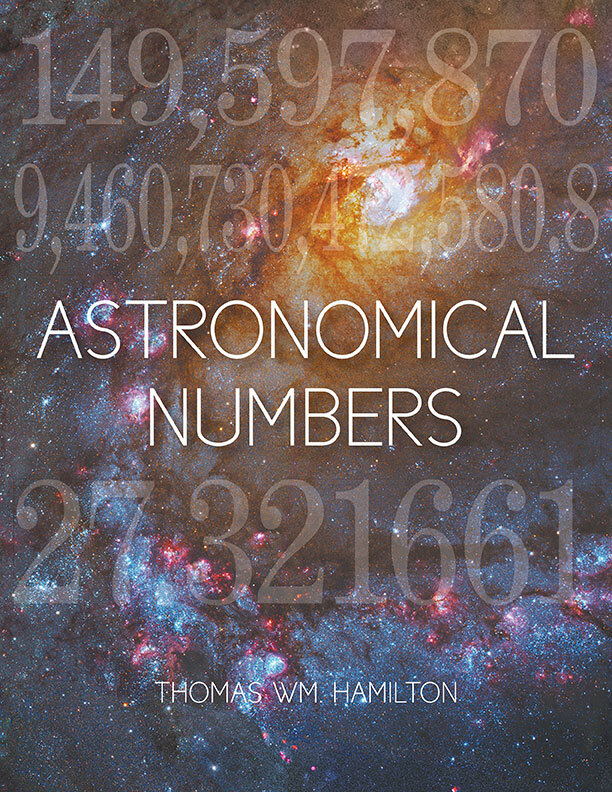 Hamilton’s latest book Astronomical Numbers provides most of the commonly referenced and used numbers in astronomy. This includes the diameters of the sun, all the planets, and major moons, distances of orbits, magnitude scales, frequency of eclipses, the five different kinds of lunar month, and more. To maximize usefulness, all values are in both English units (e.g. miles) and metric (e.g. kilometers), and provide conversions for units commonly used in astronomy, such as the astronomical unit, lightyear, and parsec. Seventeen short stories are featured in Thomas Wm. 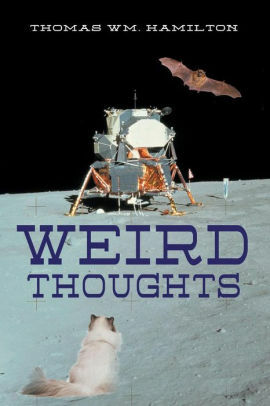 Hamilton’s latest book Weird Thoughts. Spanning the years 1912 to fifty million years in the future, the book’s genres cover science fiction, fantasy, and satire. The stories are followed by seven essays in the field of astronomy, including issues that can be easily misunderstood by the general public. The author was previously an astronomy professor who worked three years on the Apollo Project, determining orbital characteristics, fuel usage, and radar accuracy requirements for space travel. This experience is described in one of the astronomy essays in the book. Three stories set in the far future describe wars taking place among highly evolved animals, including intelligent monkeys, raccoons, dogs, cats, and dolphins. One tale describes an alternate world in which a murder victim gains justice in a time travel adventure. The U.S. presidency is at stake! In other stories, teenagers discover the importance of Spell Check while doing magic, and then there’s the tale about Halley’s Comet.